Do you know why Android apps are so popular? – Because huge number of Android mobile applications are available for free and are useful, too. Google play store is flooded with mobile apps, thus, it becomes hard for the users (especially potential app-users) to go through mobile apps and get the most useful and reliable apps. There is a wide range of categories, genres and class of mobile applications that varies from different age groups, interests, utilities and tools. Are you tired of manually typing passwords or you get frustrated when you forget passwords? – Definetely, you will because handling so many social media passwords and payment gateways is pain. Here Dashlane comes in. It is an app that saves all of them so that you can conveniently copy and paste these into online forms whenever and wherever necessary. Dashlanes uses encrypted codes that enables security options. And, that’s why, it is able to securely and safely save the financial information and instantaneously copy them wherever you want to. Camera MX, a fun and feature-packed app, might just push you over the edge. This app includes the standard HDR modes, textures, kaleidoscope and other mirror shots. Its real standout feature ‘Shoot The Past’ mode allows users to capture the action before they hit the ‘Press’ button. So you like animation movies and want to create animated pictures? Then, this app is for you. RoughAnimator lets you craft multiple pictures, and then lets you play them back together as short animations. It provides audio for lip-syncing and rotoscoping on imported videos, thus, making it more successfull. Well, that is something every mobile app development company strives to develop. One of the most advanced apps of its kind is – MORECAST. It has one of the best-looking interfaces that includes a clear and sensible layout with options of weather comparisons for two cities. It also gives an accurate weather information for a specefic route or journey. WifiMapper is an important tool of connectivity. It provides detailed information on where Wi-fi is available nearby. And, it also lets you know, if its free, paid and what their connection quality is. Podcast addict lets its users search for, download and listen to amazing podcasts available along-with its integrated audio player. It also allows you to create playlists of the upcoming podcasts you want to tune in to. Additionally, it houses a top-notch and “trending” search feature in order to help you in having a quick glance on the trending podcast of the world, thus, giving an easiest entrance for newcomers. The 7 Minute Workout helps users in their routines, weight loss, adding extra pound, enhancing cardiovascular function and energy levels. It briefs the user’s workouts. Its easy functions and navigation enables users to look over the exercises just by hitting the start button and away you go. Camera360 is a highly convincing, creative and comprehensive app that imbibes more than 200 filters. It ensures the best out of any Android camera. Its adjustment options are both ground-breaking and user-friendly, thus, making Camera360 a great choice for new and experienced photographers. Dead Effect 2 is a combination of amazing soundtrack, slaying zombie, sparkling graphics and proficient game voices, thus, making Android a credible gaming platform. Being an ideal app that test your Android camera’s prowess, Magisto can automatically turn your photos and video clips into amazing music videos. All you need is to take and choose the personal content you want to use as raw material, add a title, select a theme and following audio track. 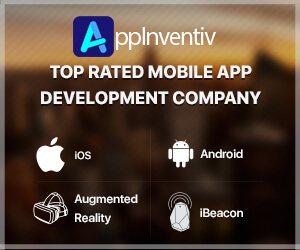 Are you looking for a mobile app development company to design and develop any of the similar mobile applications? – Just, connect with us, come up with your idea and we will help you develop it quickly. Previous Previous post: How Much Does it Cost to Develop an Android App? Why It Matters to Have Your App Featured on Google Play Store? Why You Need a Mobile Application to Complement your eCommerce site? Apple Ditching Qualcomm Chips- How will it affect iPhone App Development Companies?